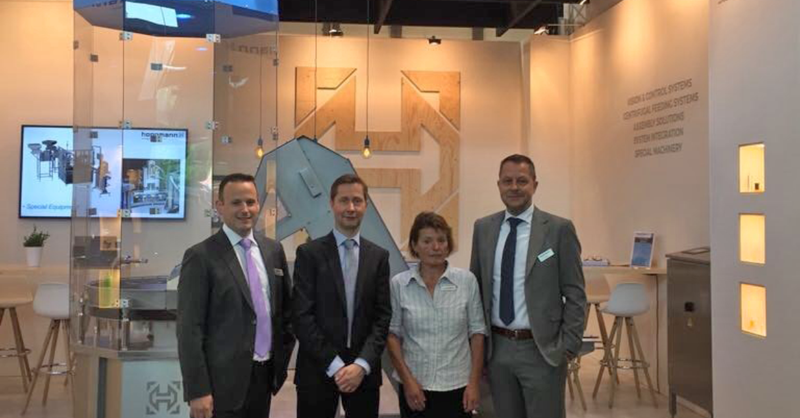 After five inspiring days at ACHEMA 2018 in Frankfurt am Main we look back on a successful and pleasant show! We would like to thank everyone for visiting our booth and for your interest in our company. It gave us the opportunity to show and demonstrate our innovative, fully aseptic, high-speed centrifugal feeder for ophthalmic bottles. Our team of specialists is currently processing all inquiries and will come back to you with the information requested. However, should you have a project at hand or if you require additional information, feel free to contact us for a follow-up meeting with one of our team members. We are looking forward to the next edition of ACHEMA in 2021!